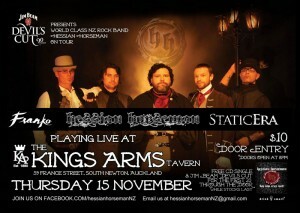 On Thursday 15 November 2012, we’re gigging with Hessian Horsemen from Hamilton at the Kings Arms. 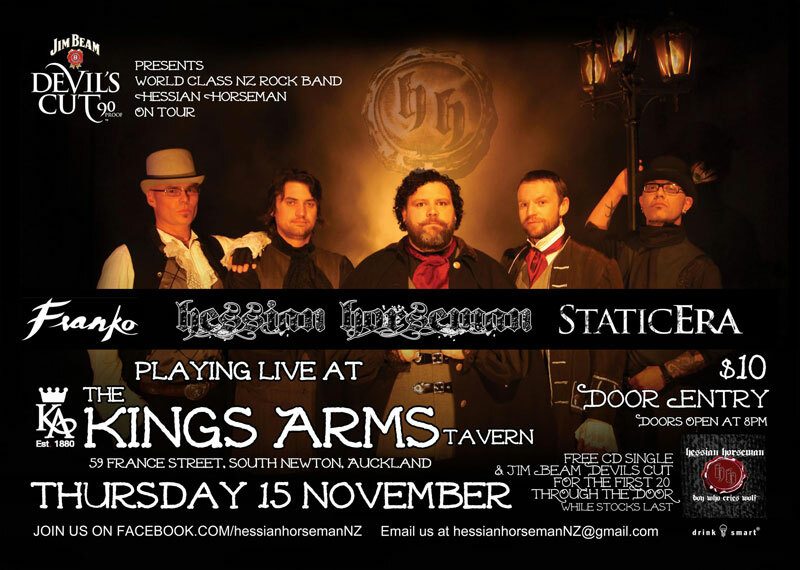 There’ll be a free Hessian Horsemen CD single and Jim Beam Devils Cut for the first twenty through the door or while stocks last. Bourbon and rock, what more could you ask for?